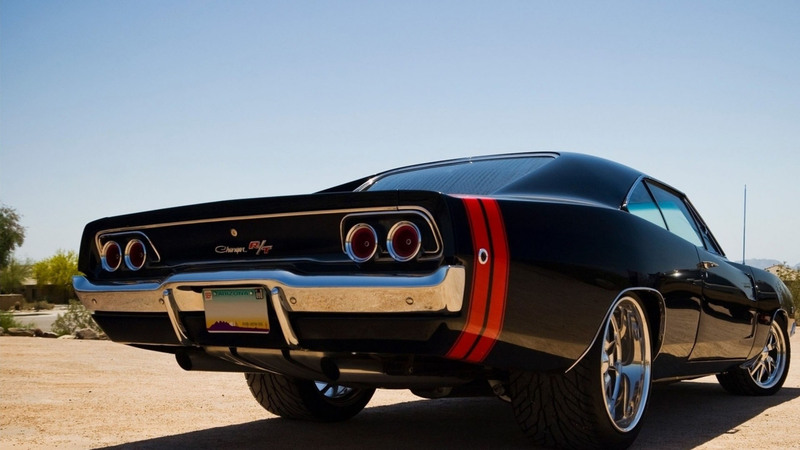 This American muscle car, the 1968 Dodge Charger R/T is powered by a 7.0-liter (425.6-cu-in/6974 cc) OHV V8 engine. The engine produces 425 hp (312.6 kW) at 5000 rpm and torque of 490 lbs-ft (664 Nm) at 4000 rpm. The muscle beast features a 3-speed automatic transmission. A rear-wheel drive system can be found in this car as in all American muscle cars. The 1968 Dodge Charger is kind of a heavy car. It weighs 3970 lbs (1800 kg), but it’s a muscle car, so it’s obvious that it can’t be light. It is 208 inches (5283 mm) in length, 76.6 inches (1945 mm) in width, and 53.2 inches (1351 mm) in height. This Charger might be not the fastest car in drag races if you put it against modern muscle cars, but it is not a slow car either. It can accelerate from 0 to 100 km/h (0-62 mph) in about 6.5 seconds. It can do a standing quarter mile in about 14.9 seconds at 95.5 mph (153.69 km/h). It can fully stop from 60 mph to zero in 144 feet. The 1968 Dodge Charger R/T is a model from the second generation. The second generation productions started in 1968 and lasted till 1970. This generation powertrain features engines from 3.7-liter (225 cu in) I6 to 7.2-liter (440 cu in) V8. Gearboxes includes 3-speed automatic, 3-speed manual and 4-speed manual. The car looks good and it was restored very well. That is absolutely one hot classic American muscle car. This is a dream car for every classic muscle cars fan. If you’re a fan of classic muscle cars, you definitely can agree to that statement.